Grab your clubs for a wonderful day on the course. 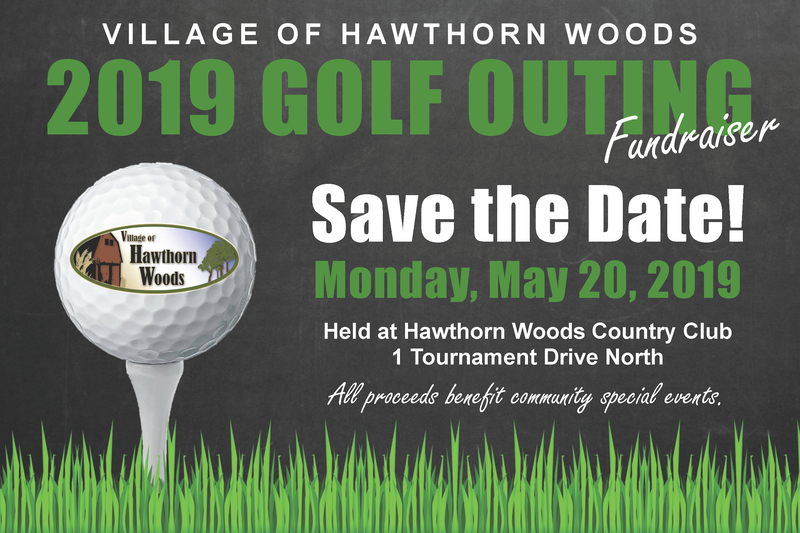 You are cordially invited to the Village of Hawthorn Woods Annual Golf Outing Fundraiser held at the exclusive Arnold Palmer designed course, Hawthorn Woods Country Club. Enjoy 18 holes of golf on this magnificent course. Sponsorship opportunities are available. All proceeds benefit Hawthorn Woods community special events. Golf attendees will enjoy: locker room service, golf event activities, dinner, drink ticket, snacks, and an appreciation gift bag. Please visit our Special Events page for more information on events held by the Village of Hawthorn Woods. Contact us if you would like to contribute promotional items from your company to the golfer appreciation gift bags. The best way to contribute to the event is through a sponsorship. Sponsorships such as the Mayor's Circle ($2,500) and Trustee's Circle ($1,000) include a golf foursome. Or sponsor a hole which includes signage and table top advertising ($350). Golf attendees will enjoy: locker room service, golf event activities, lunch, dinner, drink ticket, snacks, and an appreciation gift bag. Register as a Mayor's Circle or Trustee's Circle sponsor and a golf foursome is included! Special pricing is available for active military, police and fire personnel, as well as current members of the Hawthorn Woods Country Club.